Serbia has a great cuisine to enjoy. Traditional Serbian restaurants offer tasty food, often accompanied by musicians, who roam from table to table. Restaurants in Belgrade are a perfect mix of Serbian national restaurants, international cuisine from around the world and places that cherish fusion trends. 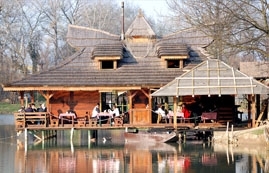 Belgrade has an increasing number of foreign cuisine restaurants for the diner to enjoy. Chinese, Italian, Japanese, French, Greek and Mexican are just some of the national cuisines on offer. Around the busy tourist areas you will find bakeries, sandwich and burger shops where you can buy a snack lunch to eat as you go.